Today: The simplest possible technique for a succulent turkey. It will forgive you if you overcook it. You can do it while you're defrosting the bird, if you so choose. And best of all, it tastes like turkey. Five years ago, the L.A. Times Food Section held a turkey taste test that changed the way they (and a lot of others) talk about Thanksgiving. Under the vigilant eye of Russ Parsons -- longtime Food Editor at the paper and author of How to Read a French Fry -- four birds came to the table, and a simple new technique had the panel smitten. The bird had been dry-brined (though the term "dry-brining" wasn't being tossed around much yet). In less-fancy words, a few tablespoons of salt had been sprinkled on it a few days ahead. Because of this, the turkey was well-seasoned through and through, and had all the juiciness of your average wet-brined turkey, without its sometimes off-putting texture (we'll come back to that later). It tasted like turkey, but turkey having a very good day. 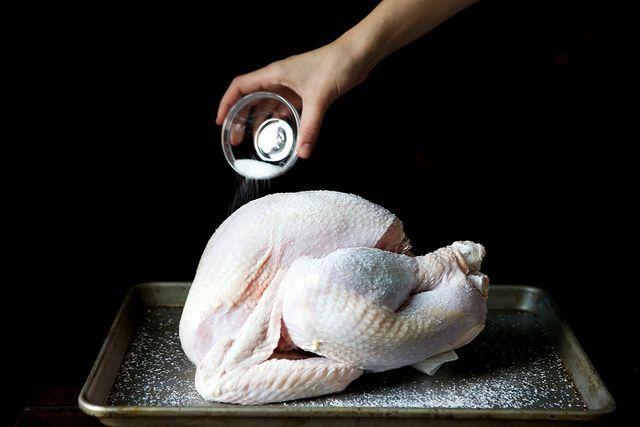 Parsons has written about the salting technique every Thanksgiving since, testing new variations each year and slashing steps he decides aren't important. The response has been glowing. By his count, he's received over 1,000 emails from happy cooks, and some of the most genius hacks have come from their suggestions. So where had this turkey been all our lives? To find out, I had to get the story from the two clever cooks we have to thank for the recipe: one an editor, the other a chef. Without both parties, the world might never have known the wonder that is the Judy Bird. 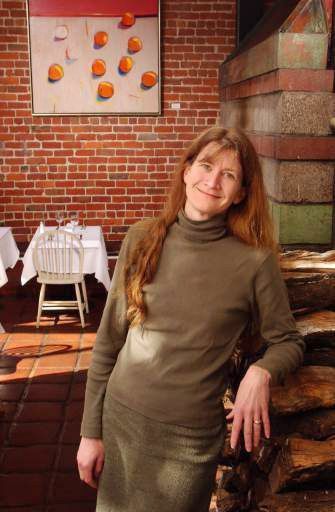 Since the late 1980s, Judy Rodgers (you remember Judy) has dry-brined the famous roast chicken -- and just about everything else -- at Zuni Café in San Francisco. She learned the technique while cooking in Southwestern France and perfected it back in the States, meticulously trying it on everything from fish fillets to hamburgers to roasts, even some vegetables -- but never a turkey. Salting early doesn't dry these things out -- if timed and measured right, moisture is pulled out and back in again, and the process magically realigns the proteins so that they'll hold on tighter next time. For a much more scientific explanation, see Rodgers or McGee. But I can tell you what this means to your mouth: juicy, tender food. As a bonus, it's salted all the way to its middle, not just on the surface. This juice-retaining action is the same as with a wet brine, with one big difference: the wet version also draws in some of the surrounding water and makes everything vaguely ham-like. Juicy yes, and flavorful, but springy and tight in a way that doesn't smack of fresh meat. Not to mention the space concerns: wet brines are greedy things. Not only are you storing something in your fridge for several days, you're storing it in a vat of liquid. Enter Parsons, circa 2006, who had quizzed Rodgers on her relationship with salt for various stories over the years. "I was casting about for Thanksgiving ideas and I wondered if something that worked for chicken might work for turkey." Parsons wrote to me in an email, "I called her and asked if she’s ever tried it and she said no." In fact, Rodgers had recommended a wet brine for turkey in the Zuni Café Cookbook in 2002, a recipe she's been using on pork chops since her days at Chez Panisse in the 1980s and had scaled up successfully for the big unwieldy bird. Though she has dry-brined plenty of geese and ducks (and more chickens than probably anyone on earth), the reason she never pursued turkey is simple. "I'm just not a big turkey, Thanksgiving girl," Rodgers says. "A lot of chefs feel this way. At Zuni we still change the menu every day, and sometimes I taste 75 things in the course of a day, from oysters to desserts. So for me, Thanksgiving is a holiday from cooking and eating. If I don't have to plan a menu, I think, 'It would be really nice to just scramble some eggs'." So Rodgers consulted and Parsons (a serious turkey fan) got testing. "I tried it first with a 12-pounder and it worked great. Then I worked my way up," Parsons wrote. "When I talked to Judy, I think she was a little surprised … and maybe a little amused that I was so excited about it. I can get a little geeky." Geeky like a fox. Since then, he's figured out grilling the brined turkey, and the right herbs and spices to add to the salt -- but his most amazing discovery is that you can brine a frozen bird as it defrosts in your refrigerator. And why wouldn't you? Once you taste your very own Judy Bird, you can thank them both: the chef who'd rather not think about Thanksgiving at all, and the food editor whose job depends on it. It's been a couple of years since using this method and usually we do make ahead gravy as need a lot for thanksgiving. Is there enough pan juices for gravy making doing this method? Can you use this same recipe/process for boneless/skinless turkey breasts and thighs? Just relax. Your best friends are an imagination and a meat thermometer. Whatever you like as long as it is not over cooked will.be perfect. I made this turkey last year. In addition to the salt, I added a little brown sugar and fresh cracked black pepper along with a myriad of savory dried herbs. I mixed that with the salt and gave him a good rub down every day. The turkey was so delicious that my family members bring it up constantly and have designated me the turkey roaster from here on out. My bird will now replace my mother's at all holiday feasts. I'd agree with Mr. Garrett... reading this story and the accompanying recipe, I too thought and herb or two (even California Sinsemilla?) like sage or rosemary would do. Herbs are always good for fowl. Is there a need to put any liquid aromatics (just a small amount) in the bottom of the roasting pan? Something like fresh sage/rosemary/thyme w/some citrus zest in small amount of apple cider? I've been cooking T birds for years.... cook it two days before pick it! then take the bones to make and reduce to a stock..... then bury everything in the stock after it has cooled.... And it will be the most moist turkey you have ever had.... it's an ancient way of preserving food.... it's called Confit! I've wet brined turkeys for the past eight years and they turned out well. This year I tried the "Judy bird", and it was the best turkey yet. It maintained the juicy turkey, without the "city" ham quality (moist, but lacking the texture of turkey). I used salt, thyme, rosemary, pepper and lemon zest as the dry brine. On my Big Green Egg (lightly smoked with apple wood)over a tray with water and two sliced lemons. I cooked an 18 pound turkey in about 3 hours. Pulled it at 165 degrees in the breast and let it rest about two hours before dinner. I might of had 5 tbsp. of juice in a large turkey tray after cutting it all up after dinner. It had the texture and moisture that I would hope for in a turkey, almost as good as it gets. I also adapted the regular potato and bread stuffing with some celery root, caramelized onions and dried apricots, which either cook in the oven or the outside Weber at Canadian Thanksgiving. The good news, two hours to prepare in the morning and then very little effort to make it all come together. I guess practice makes perfect. This is the third turkey I've BBQ'd on the Egg and the fifth one on a bbq overall. General recommendation, never stuff a turkey, either the stuffing is cooked to a safe temperature and the turkey tastes like shoe leather, or the turkey is cooked to the right temperature and you may get sick. Pull it at 165 F and let it rest as long as you can, 1 hour minimum. I will be trying this recipe again on the second Monday in October, Canadian Thanksgiving. Help, I've always brined turkey in a bag. Forgot bag and put in aluminum pot. Left foe 8 hrs before realized. Is it ok?. 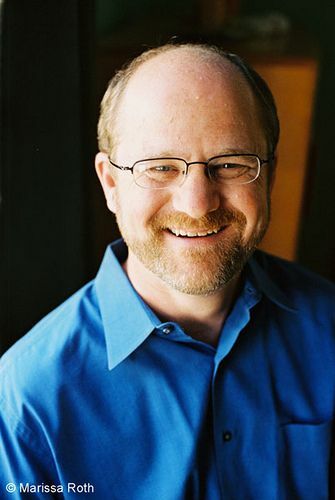 J church, so sorry for the delay -- brining in aluminum isn't recommended, because of how reactive the metal is. Is there any chance your aluminum pot is anodized? I've just decided to do turkey this year for Friendsgiving! We're eating either tomorrow or Saturday. Is it too late to dry brine? Anyone know whether it works in 24 hours? 48 hours? Thanks! Hi erincpdx -- the longer the better, but a shortened brining time can still have great results. Russ Parsons answered this (among other questions from readers) here in 2009: http://articles.latimes.com/2009/nov/18/food/la-fow-turkeyfaq18-2009nov18 The shortened time won't have quite the same protective effect so you'll just have to watch the bird more closely to make sure it doesn't overcook. I just realized I forgot to let the bird sit out for the 8 hours. It willl have 2 hours out before I need to put it in the oven -- will this work? Any tips? Thank you! Happy Thanksgiving! The step of leaving the bird uncovered in the fridge for the last 8 hours is optional -- instead, just pat the bird dry very well, inside and out, to help the skin crisp up. Don't forget to pull it out of the fridge at least an hour before you're ready to stick it in the oven. Hope you like it! What about adding some sugar to the salt rub? Looking at many wet brining techniques, sugar, spices, and citrus are usually incorporated into the bribes. Has adding sugar to the dry brining method turned out well for anyone? I'm very curious, as I'd love to try it our sometime with five spice and sugar as my flavor twists to the salt rub! I waited until monday afternoon to start my dry brine. Will it work -- figure I have 62 hours. Hope it works! Best. Turkey. Ever! Will never do it any other way. I used this dry brine for our thanksgiving Turkey this year and my husband then grilled the turkey on the Webber grill. It was delicious and so much easier than the typical wet brine. I will use it again and try it for chicken too. Grilling the turkey makes a delicious bird but no drippings for gravy. Still a good deal to have the oven free for all the pies and side dishes! If you have a drip tray underneath with water (apple juice) and either apple or lemon slices, you will collect the drippings and they make a nice gravy with either a lemon or apple twinge. Put it in the fridge or freezer for an hour and the juices will separate. Add them to the stuffing and gravy and you will have an excellent bird. Serve with either a fruity or slightly acidic white wine (http://www.lingenfelder.com/creatures/bird-label.htm). My stuffing has caramelized onions and sliced dried apricots added to it. My first turkey in my new home of only 2 weeks...first time cooking with a gas stove, too. Totally easy, totally yummy. The only heads up I'd give other newbies...it's SO moist, that even when the temperature read 165 degrees, the juice (oh, so moist!) ran a bit pink at first, which made us think is was under cooked, but we trusted the thermometer, and boy, am I glad we did. I did my first turkey ever this year, and this recipe worked great! Could not have been easier or less intimidating. Some people who'd never heard of a dry brine were dubious, but it made for a beautiful, delicious, juicy bird ... and great gravy, too! 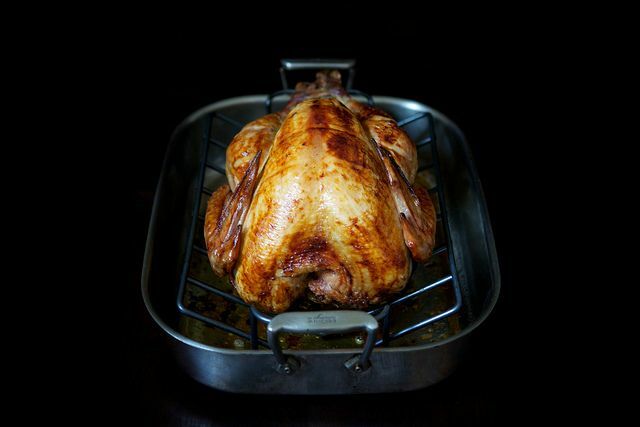 After preparing a turkey using this dry-brine method, is it possible to make a nice gravy from the pan juices? The pan juices have a nice Unami so go easy on any additional salt but they are great and make a great gravy. Thank you for the help! 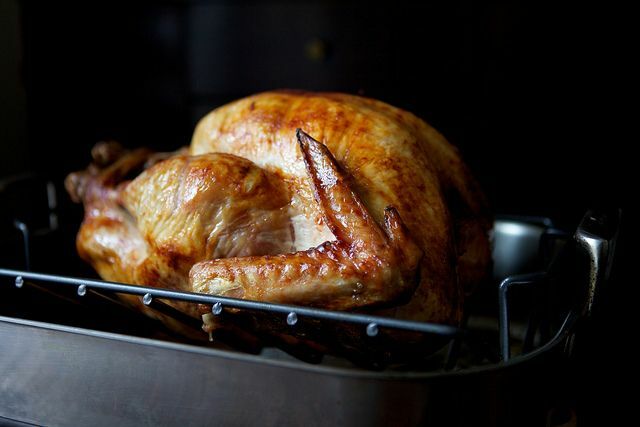 I have a 19.5 pound turkey, so how long should I roast it using this recipe's method? Hope you have a Happy Thanksgiving! Thanks, Springmom, for your help! Happy Cooking! My best solution is to buy an oven probe with a wire to the gage/wire and put it in the turkey after two hours. Many you can program and they will tell you when the temperature reaches 165 degrees. I cooked an 18 lb. turkey that was done in just over three hours today. A probe solves the confusion and you won't overcook the meat. It is well worth it and I use it for all types of roasts. Katelynvt, I have already roasted 4 birds using this method. All were around 19lbs. I was worried too so I started them at 400 and roasted them following the directions exactly except for that one change. I did not baste and had a crispy golden skin. All birds are diff though so if I were you I would keep an eye on it towards the end of cooking and maybe foil the breasts if it is getting to dark. 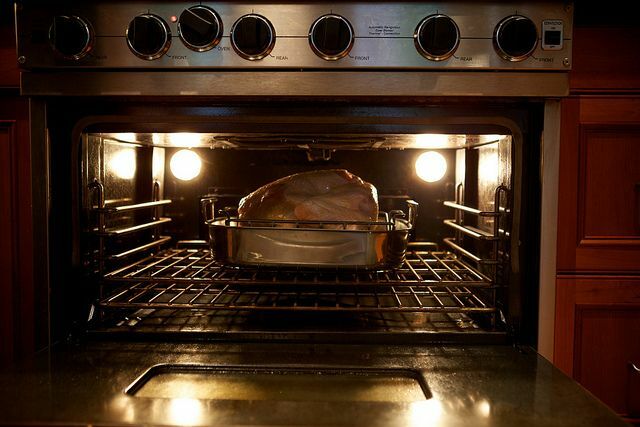 Try keeping the oven rack low too so the turkey isn't super close to the top of the oven. Should I baste the turkey during roasting? Or is this a more "leave it alone" type recipe? Also, do you recommend covering with foil? If so, do you cover at the beginning or end of roasting. I have a 21 lb turkey so I'm worried with the long cooking time it will get too dark. You don't need to baste at all, and you should only cover or tent with foil if the skin (or parts of it, like the wings) are getting dark before the internal temperature is getting close to 165 in the thighs. You can stick on little foil sleeves for the wings if needed, for example, while the rest of the skin keeps browning. Have fun on your first Thanksgiving! Thank you so much for your reply! I am definitely excited for tomorrow and know it will be fun...and based on all the reviews we're going to have some amazing turkey! !